I spent the weekend in the Kingdom of Kerry, where we spent a night with my sister and her family on a campsite at the very tip of the Iveragh Peninsula. They had secured a top spot overlooking the sea and were equipped with BBQ, tables, plates and most importantly, wine. That night, we devoured a feast of burgers and steaks, ravenous after our 20km walk through the Gap of Dunloe. In the background, I could hear the sound of laughter and clatter of cutlery. We awoke to a damp morning, but the view made up for it. The guys busied themselves stoking the BBQ, boiling milk for coffee, while myself and my sister, wrapped in fleeces, enjoyed the peace of the morning. For once, the adults were awake before the kids. The smell of cooking sausages awoke them from their deep slumber. Fuelled with hot chocolate, the two boys pulled on their wetsuits and slid down the slope in front of us, tumbling joyously onto the beach. Buddy, the dog, raced after them, barking with joy. The rain fell slowly, but the boys didn’t seem to notice, I guess you don’t when you’re a child. They foraged for mussels and crabs and held their treasures up in the air triumphantly, smiles plastered across their faces. I watched from above, huddled beneath the canopy, coffee in hand and smiled to myself. There’s nothing like the mystery of the sea and the softness of the sand to make a child happy. Rock pools, large stones, buckets and spades. The beach is a world of mischief and fun. Suddenly, we heard a screech, followed swiftly by a splash. Cian had slipped on a rock and fallen into a large rock pool. I held my breath as I saw his little legs flail. He emerged slowly, a stick held high above his head like he’d discovered Neptune’s trident. His laughter, and his brother’s, echoed across the campsite. As I said, the beach is magical world, where anything is possible. 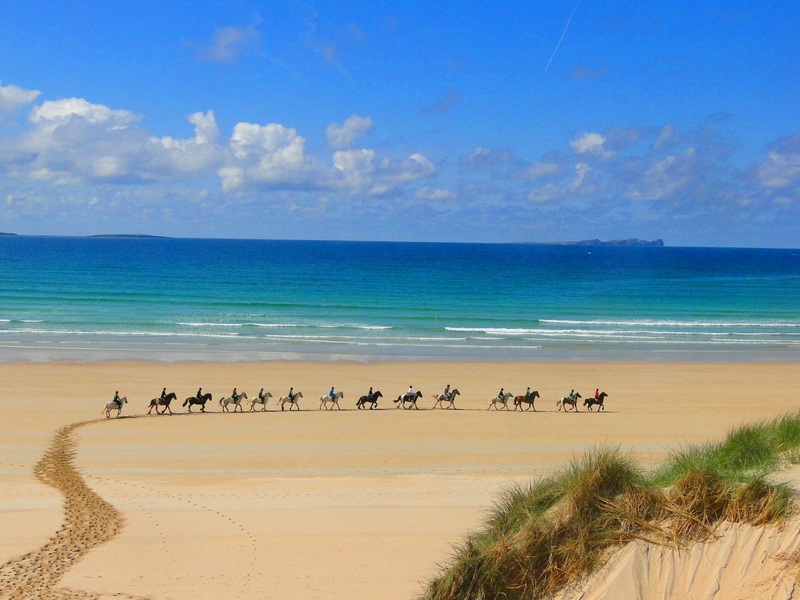 This morning I was chatting about some great Irish beachside breaks. All info is below! 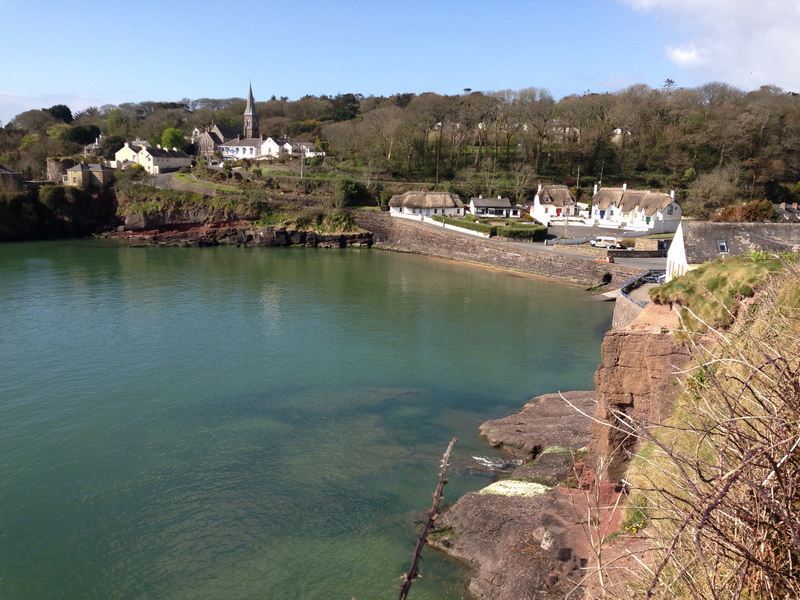 West of Waterford city, Dunmore East has long being a major family summer destination. Only 18 kms from the city, the quaint fishing village has a handful of good eateries and bars with an abundance of accommodation types for all budgets. Most importantly, there’s a host of activities along the scenic cost. Dunmore East Adventure Centre offer a whole range of activities including from archery, kayaking and sailing, to orienteering, team challenges and even scaling an iceberg! Duncannon sits at the base of the Hook Peninsula – this stunning peninsula is Wexford’s most rugged and picturesque coastline, its tip crowned with Hook Lighthouse. 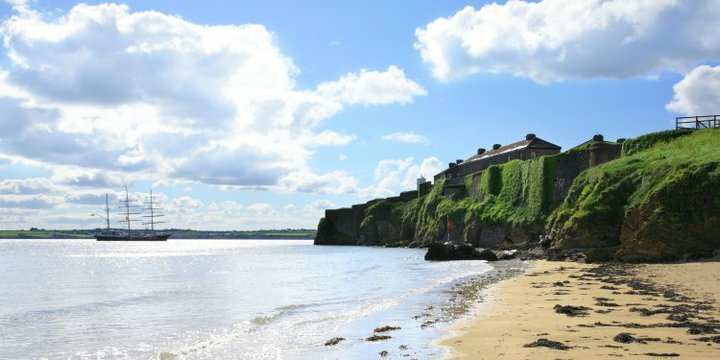 Duncannon is a family-friendly seaside town with an abundance of self-catering accommodation and lots of activities such as horse-riding, kite-surfing and boat trips. 27th annual Duncannon Sand Sculpting Festival on Duncannon Beach from August 9th – 11th. Professional san sculptors will create giant masterpieces on Thursday 8th based on Water Safety. There will be free sports events from 11am for 8 – 14 year olds, a beach part at 7.30pm with a Kids Party Club and fireworks. Events will run throughout the weekend – picnics, music, puppet shows, fancy dress, sand-sculpting for children. 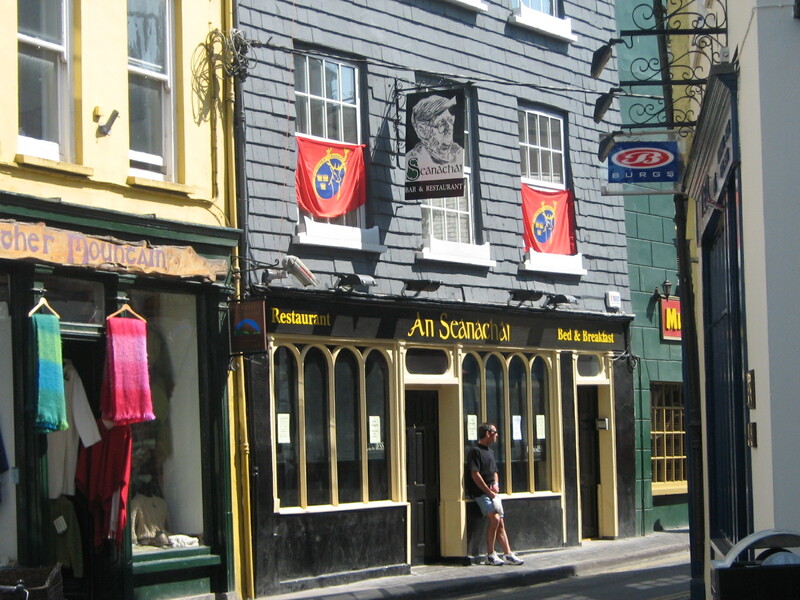 A half-hour south of Cork city, at the mouth of the River Bandon, Kinsale is a popular beachside town for families and groups alike. Its maze of narrow streets are lined with brightly painted buildings, buzzy bars, restaurants and cafés. Plenty to do in and around the area. Swim off the dock or hop aboard a boat for a sail out to sea. Garrettstown Strand is only 5kms away and is a blue-flag beach that’s great for swimming and bracing walks. It’s also popular for windsurfing and surfing. G Town Surf School run surf lessons for beginners as well as canoeing trips, montain biking and other outdoor activities. Oysterhaven Activity Centre – 10 minutes from Kinsale is a great family location with cottages to rent and they run summer camps throughout August for children aged 4 – 18 years. 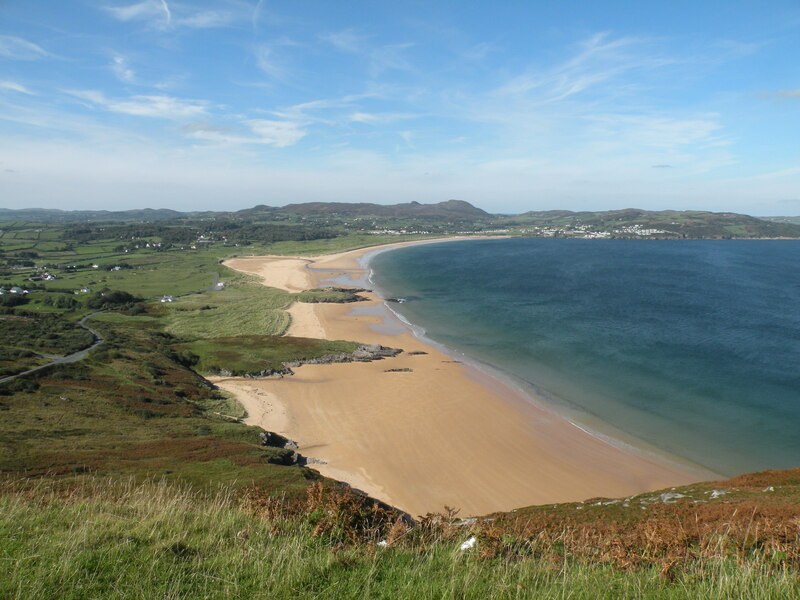 Dunfanaghy is a buzzy coastal village, especially during the summer months. It’s a great place for families, with several blue-flag beaches, good restaurants, affordable hotels and a plenitude of self-catering accommodation. as this this website conations truly good funny data too. of it and i also have you book marked to check out new things in your web site. test the spelling on several of your posts. A number of them are rife with spelling problems and I find it very bothersome to tell the reality nevertheless I’ll certainly come again again. Quality articles is the main to invite the people to go to see the web site, that’s what this web site is providing. person’s weblog link on your page at proper place and other person will also do same in favor of you. I’ll immediately grasp your rss feed as I can not in finding your e-mail subscription link or newsletter service. blogger. I’ve joined your feed and look forward to in quest of more of your wonderful post. After checking out a number of the blog posts on your site, I really appreciate your way of blogging. addresses a lot of the same topics as yours and I believe we could greatly benefit from each other. They are really convincing and can definitely work. Still, the posts are too quick for starters. I pay a visit every day some sites and sites to read articles, however this web site gives feature based articles. Thankfulness to my father who informed me regarding this website, this webpage is genuinely awesome. Theme a co-signer has to get someone which has a good credit history plus a decent debt-to-income ratio.